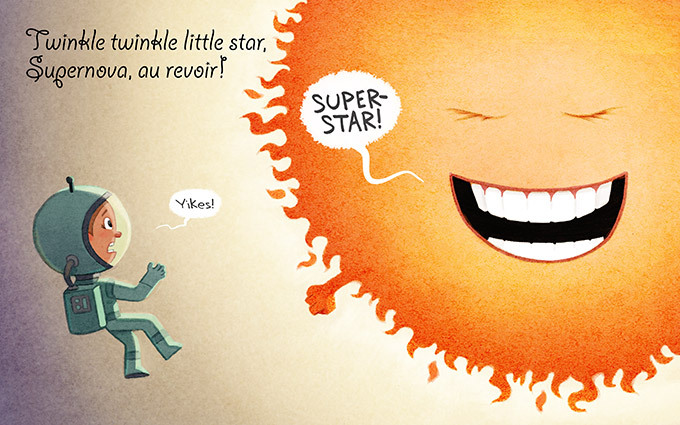 FUN & SCIENCY BOOKS FOR KIDS! 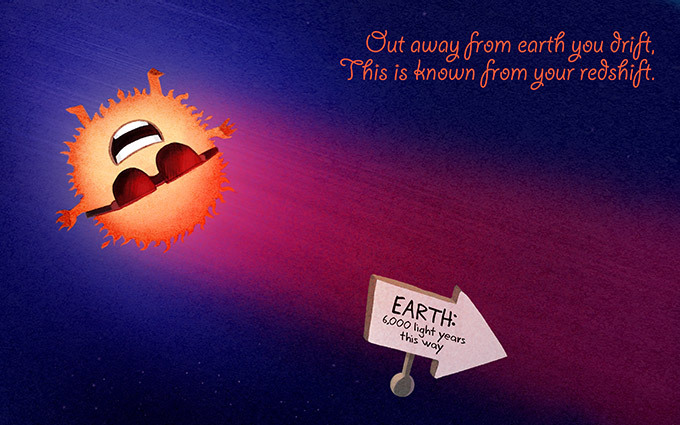 Astronomically Correct Twinkle Twinkle is a beautifully illustrated astronomy lesson written in verse. 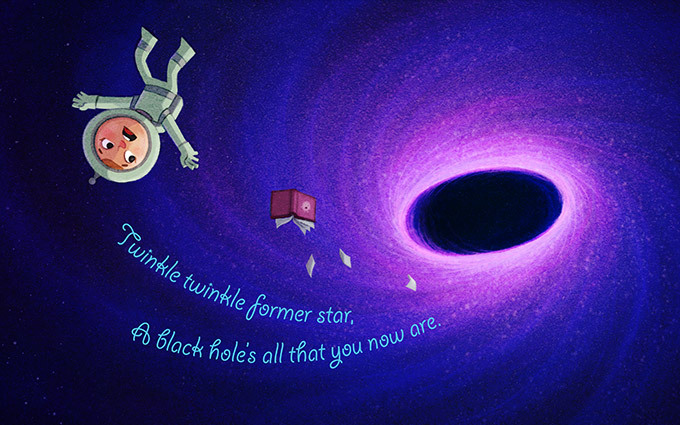 Learn about black holes, why stars actually twinkle, and more in this fun, educational retelling of Twinkle Twinkle Little Star. 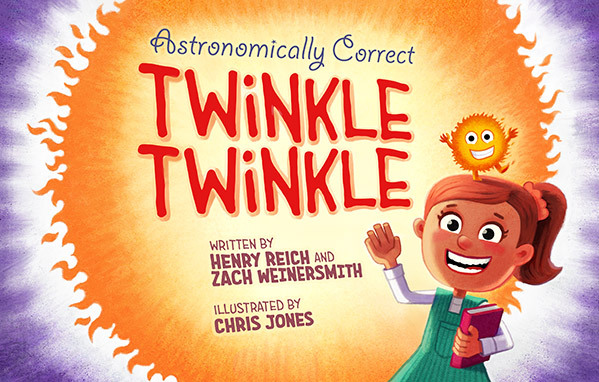 The book is brought to life in song, written by Zach Weinersmith (creator of the webcomic Saturday Morning Breakfast Cereal) and Henry Reich (creator of the popular YouTube channel MinutePhysics), and performed by Reich. 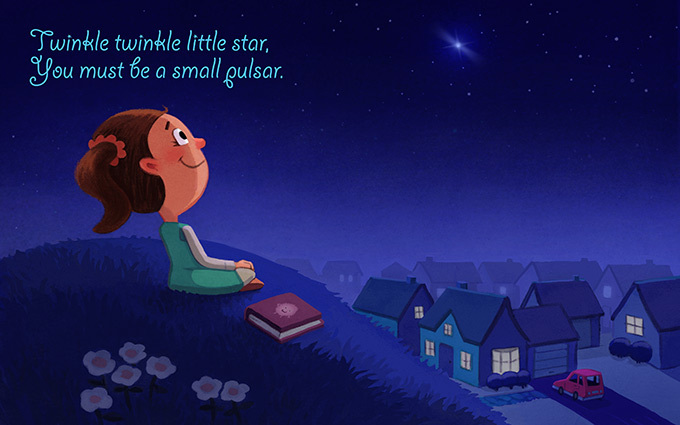 Read or sing along while enjoying the full color paintings on each page by acclaimed children's book illustrator Chris Jones.